The organizing committee said Lee will take part in promotional activities for the Olympics and the Paralympics in 2018. "I felt emotional that another Olympic Games will be held in the country, as I remember watching the Summer Games 30 years ago in Seoul when I was a child," said Lee, who is now 36 years old. 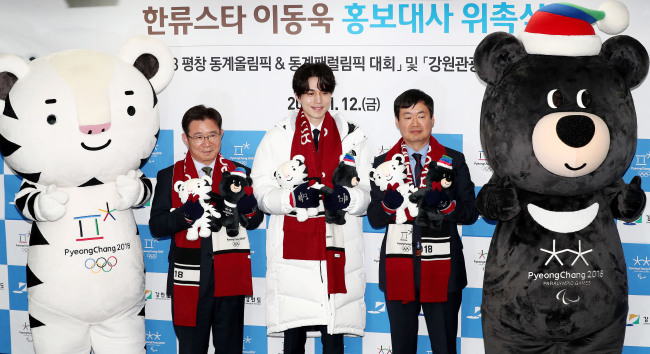 "I'll do my best to attract the eyes of global fans to PyeongChang and help them participate in the Games." He said he will go to PyeongChang to watch a Paralympics event with his fans in March. He bought 1,000 tickets of the PyeongChang Paralympics that will take place on March 9-18.